I needed a realtor who knew the city’s outskirts like the back of their hand. Will was definitely the right one for the job. 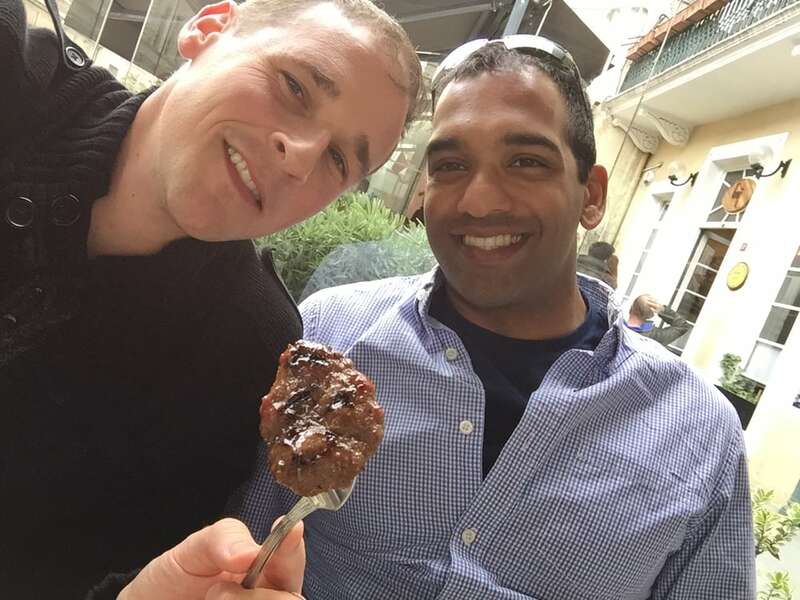 Earlier this year, when I looked to start my home search in earnest, I was put into contact with Will Brokhof through a colleague. I knew I wanted to stay in or as close to the Boston area as possible, and I needed a realtor who knew the city’s outskirts like the back of their hand. Will was definitely the right one for the job. Through many showings and open houses, he helped me narrow my search to Jamaica Plain and Roslindale. By seeing a lot of variety, I also narrowed in on condos versus single family homes. Conducting a home search alone is a bit intimidating, and while I sometimes wanted Will to just tell me what do do, he was great at objectively helping me see the pros and cons of each opportunity so I could make informed decisions. I felt confident at each home that we saw that Will would be able to speak to the neighborhood, the stability of the investment, and the quality of the home with great authority. Ultimately, Will negotiated a last minute showing on a property upon my return from a vacation. With his help, I made an offer just within the deadline, and my offer was accepted hours later. While over asking, the comps in the area and the potential for the neighborhood justified the cost and gave me the edge over 10 other offers. While no home search goes perfectly, my experience was about as smooth as could be expected, and I would definitely work with Will again for my next home search! I cannot recommend a real estate agent more highly than Will Brokhof of The Boston Home Team. Will has expertly handled the purchase of two homes for us, and the sale of one. We returned to him seven years after our first transaction together because we were so impressed with his ability to navigate our target market (JP, Roslindale), his expertise in everything from staging, to negotiation, to resale value, to landscaping. We relied on him for every step (movers, storage, staging, inspectors, real estate lawyer) and he always came through. If you want to find the best home for you, for the best price, and if you want to sell your home quickly and efficiently, Will is the broker for you. My wife and I couldn’t be happier! In 2013 my wife and I purchased a home in Roslindale, MA using William Brokhof as our agent. My wife and I couldn’t be happier! Will took the time to meet with us personally at our current home to go over the details of what we were looking for in our next purchase. He took the time to listen to all of our concerns and to explain to us what the process working with him was going to be like. He’s a real go-getter! We got to work that weekend going to open houses and started seeing what inventory was available in the areas we were looking in. Will always took the time to meet us before the open houses (if we wanted, sometimes we met him there) and always offered to chaperone us around town as we viewed various homes. He also never minded us needing to take the time and stop for coffee (if you haven’t been house hunting yet, it can be tiring finding exactly what you are looking for!) We traveled all across the greater Boston area and Will was always knowledgeable about the homes we were visiting and the neighborhoods they were in. Another great thing about Will is that he is also very knowledgeable about home construction techniques used over the past century (at least), home renovation, and design. While sometimes we didn’t like what we were seeing, he was able to explain to us what the property could be with a little imagination. Basically, Will could easily be on one of those HGTV shows where they feature a home buyer looking for a great deal on a place and then remodeling it to be exactly what they want. All for less money than they would have paid for a already remodeled turnkey home. In the end we purchased a home in Roslindale and are completely satisfied with both the home and Will’s services. In a time when inventory was low, Will managed to get us a private showing of a property before it went to open house. This saved us thousands by avoiding a bidding war! By then he knew exactly what we were looking for. He saw the opportunity on the property and got us in there immediately. I won’t go on forever, but I would be impressed if anyone wasn’t satisfied with Will Brokhof’s services as a Home Buyer’s Agent. Will Brokof was our buying real estate agent for our first home purchase. Will Brokhof is an exceptional realtor. We would definitely recommend him to anyone looking to buy or sell a home in the Boston area, especially Jamaica Plain, Roslindale, and West Roxbury (although he also helped our friends in Somerville find their place). He had a boundless energy when it came to visiting open houses – and when we were ready to make an offer he advised us on how to set the price, and how to negotiate afterwards. I can’t stress enough how important his realistic optimism was throughout this entire process – particularly when we lost out on one of our first offers – he helped us get back on the wagon, and then lined up several more places for us check out. What’s more, he has stayed in touch with us through our first major renovation, giving us insight in how we want to add value to our property in this current dynamic market, but celebrating our excitement in our new home! 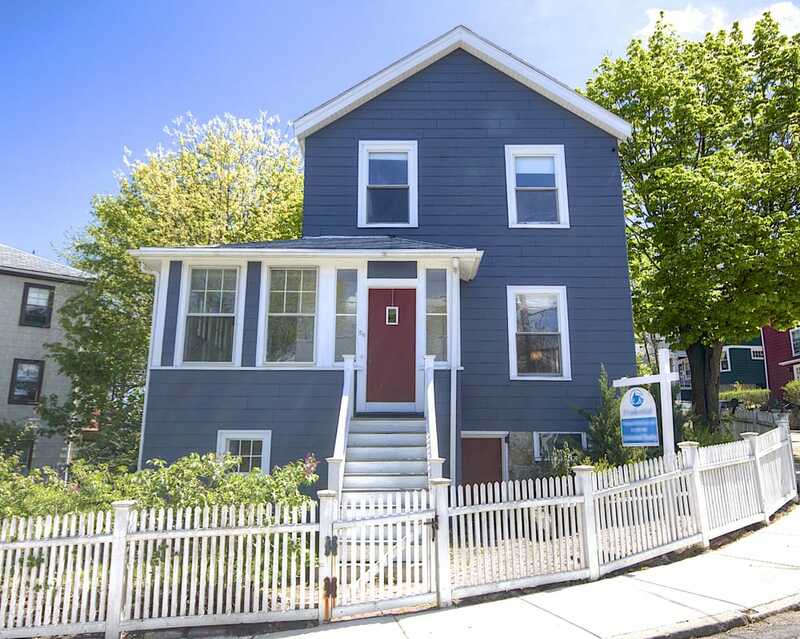 My husband and I worked with Will to purchase our first home in Somerville. We found Will and Boston Home Team after looking online and trying to find a realtor who we thought we could stand to work with. We’d met a few who really did not get what we were looking for or who we were. They kept trying to push us to the suburbs and find “nice houses” all fixed up by someone clearly trying to flip a place–and of course good school systems. What we really wanted was someone who understood that there’s something special about a city neighborhood and that some hard work will reveal gems in these old houses. When Will took us around on tour it was obvious to us that he had a real love for JP and deep understanding of Dorchester. Also, very importantly, he was not soulless, he was direct and he provoked us to think. We actually learned a lot about houses and what to look for in a renovation project from him and he really did put us on the right path, even if we diverged later and asked his to help us buy a place in Somerville, where our hearts were, even if his particular expertise was not. He was game and did a great job working through some fairly sleazy and stressful situations as we tried to close. He kept us pretty calm and assured in what we were doing and I can’t imagine having gone through the process with any of the other realtors we’d met along the way. Will’s unique and he’s great to work with. A highly recommended companion through the horrible process of buying in this area. When you work with Will and the Boston Home Team, they work FOR YOU. We enlisted him to help us buy a house that didn’t meet minimum occupancy standards in the middle of the housing crisis of 2009 . We had to get a 203K loan through the federal government, we were trying to purchase the home from a lawyer/executer, and there was complexity and uncertainty at every turn. Will was calm, helpful, and navigated the evolving drama with us in a truly helpful way. He can be trusted to do everything possible to get your needs met, whether it’s buying your dream home or selling your home for the best price. He knows the market and how to maximize it! My girlfriend and I were first time home buyers in February 2010. We started looking for a home on our own, we then decided to use ZipRealty. The Realtors on ZipRealty that we kept getting set up with were impersonal, and took a very long time to get back to us. Being first time home buyers, we really did not know much about the process, except our approximate price range, and the all of the amenities that we were looking for. We found the Boston Home Team in the Jamaica Plain area where we were very interested in buying. After setting up an appointment we met with William Brokof who took an entire night to go over all of the paperwork we would be seeing, and basically walked us through the entire process of buying a home, realizing that we may not even choose him as our realtor. Our meeting with him impressed us both and we decided to go with Will as our guide through the long process of buying a home. He thought it was important to show us properties that we would not like and properties that were a little on the higher end just so that we could get perspective into what were necessities and what we could live without. We thank him for his patience as he eventually steered us to the house that both of us fell in love with and bought. We started looking in February, and closed on April 30th, Will made it an educational and fun process with an extremely happy ending, and of course was there for us ever step of the way from walking through the properties, answering questions, and closing. He even set us up with a number of his own resources from people who helped us get approved for our mortgage, to lawyers that helped with the actual closing. I can quite honestly say that i didn’t think that home buying was going to be so painless. I strongly recommend Will Brokof if you are looking for an individual who goes above and beyond to get you the home that you will want to make your own. My husband and I have worked with Will on three projects during the last eight years, and only hope that he will still be doing this work the next time we need him! He is smart and honest and creative in his thinking – he is also just fun to work with under less than fun circumstances. We have always felt he was doing everything possible on our behalf. WILL HELPED US SELL FOR MORE THAN WE ASKED FOR AFTER JUST ONE DAY. If you list with someone else you are throwing money and time away. My wife and I worked with William Brokhof to buy our condo in JP. Straight from the get-go, he was calm, warm, and professional. We were concerned about working with a Real Estate agent because we’ve heard that they can sometimes seem nice while they are simultaneously lying to you, or manipulating the situation in their favor. Will was the exact opposite. When we later got into a situation where we were one of two bidders for the condo we really wanted, he stayed up late to do everything he could to help us come out on top. The thing I liked the most about working with him was his no nonsense and clearheaded way to approaching these inevitable real estate problems. When we move in the future, Will will be our man again, and I recommend you make him yours ASAP! I used this guy! Will’s cool. We would go into houses and be all oh hey, look, they got a shiny new refrigerator, we should buy this one! because we’re idiots, and then Will would go down to the basement and point out a huge crack in the foundation. We miss these sorts of things. We are distracted by shiny things. We ended up getting a great deal on a house with a crappy old refrigerator and a solid foundation, and we just bought a new fridge. That was a good idea, because fridges are cheaper than foundations. He knows Jamaica Plain absolutely cold! We liked Will so well that we recommended him to our friends, and they were happy with him too, so that ought to prove that I mean it. Coincidentally, he was recommended to us by another Yelper, the gone-and-totally-forgotten Dan P. – that dude went to law school and totally sold out. So if you use them for your real estate people it’ll be like continuing a long, proud tradition. My husband and I were first time homebuyers AND new to Boston when we started working with Will. When we decided we wanted to buy there was no question that Will would be our buyer’s agent. He knows every block of JP and is heavily involved in the community (ie. proactively helping to improve the quality and safety in JP). Quite simply he lives and breathes JP!!! It’s difficult NOT to get excited about this neighborhood after talking to Will. After a couple of weeks of looking at houses in our price range and not finding anything that we were absolutely in LOVE with–I was beginning to get a little discouraged that we would not find the ‘perfect’ place. Will kept us encouraged and one morning I saw an MLS listing for the a condo that looked PERFECT for us. When we called Will around 10AM and he told us that he already had an appointment for us to see the place. Of course we instantly fell in love with the condo and with Will’s help we put an offer in the next day. We were the first buyers to see the house and I sincerely do not think we would have gotten the house if that were not the case (the location and layout is very unique to the area). He also kept us in check as to what we SHOULD be paying for the house. Thanks to Will being in tune to what our needs AND wants were, we’ll be happily living in JP for a long time! As a Realtor working in this neighborhood, I know first hand which agents are knowledgeable, professional and care for their clients. Will Brokhof is undoubtedly one of those agents. As his colleague I appreciate Will’s hard work and professional insight. As his competitor, I know him as a tough and informed negotiator who won’t sleep until his clients are happy. A buyer or seller will find themselves in more than capable hands when they choose to work with Will and the Boston Home Team. Thankfully, we listed with Will, and sold our house in one day for 5% more than we bought it for in 2006. He’s not your typical hyper-caffeinated-hampster-in-a-Mercedes realtor, and has a seemingly laconic approach, but that masks great real estate intuition and a lot of hard work. He knows JP inside out, and you won’t go wrong with him on either end of the transaction.